Photo of: West of Ireland: Mayo/Galway: Killary Harbour. 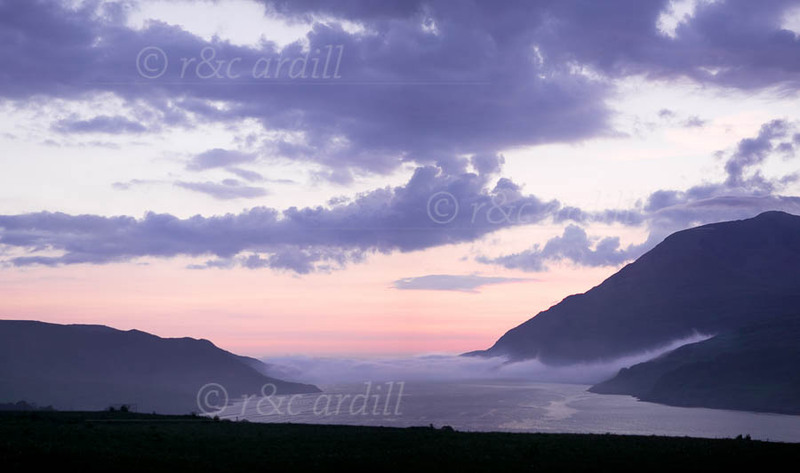 A view of Killary Harbour at sunset with mist rolling in from the Atlantic. Mweelrea Mountain can be seen to the right of the image. Killary Harbour is the only fjord in Ireland, carved out by glacial activity. It separates Mayo to the north (right of the picture) from Connemara in Galway to the south (left of the picture). Mayo and Connemara have some of the most scenic landscapes and seascapes in Ireland and Killary Harbour is a fine example of this beauty.